I think seeing a brand new baby helped me ol’ attitude and thus bringing about a change in the ol outlook! Took the boys swimming today minimal whining, Tony went with a friend to the movies( I was thrilled! Since the play ended he’s been a homebody). 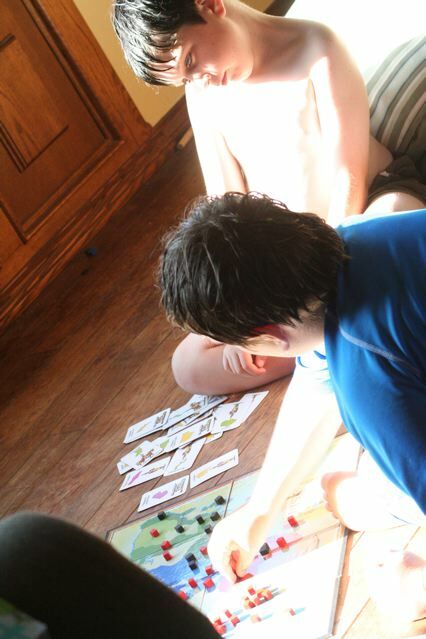 After swimming I caught Nick and Joe in a very friendly game of RISK….